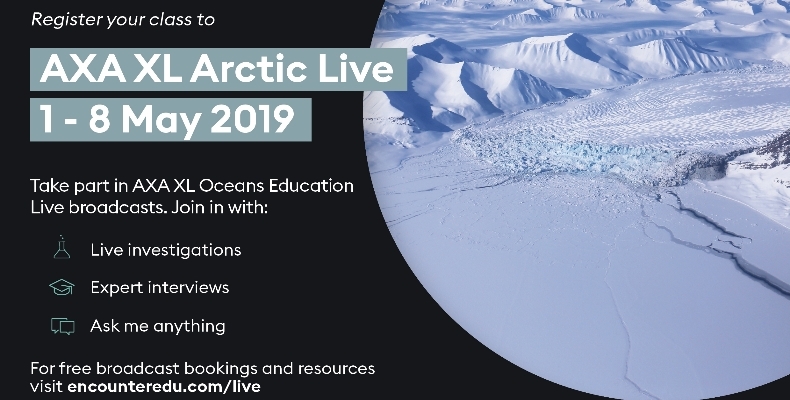 The sixth instalment of Arctic Live, a series of live-streamed lessons from scientists in the Arctic on climate change, will run from 1–8 May. This year’s series of 25 broadcasts will focus on the impact of micro-plastics and ocean acidification on the Polar Regions. Lessons will be live-streamed into classrooms via learning provider Encounter Edu. Jamie Buchanan-Dunlop, founder of Encounter Edu and host of the broadcasts, said: “The Earth is experiencing profound change due to carbon emissions and unsustainable lifestyles. With over 40% of the global population between the ages of 10 and 24, it is vital that we provide young people with the knowledge, skills and experiences needed to address issues such as ocean health and climate change on their own terms. Lessons will be broadcast from the Arctic island of Spitsbergen, with science led by the University of Exeter’s Dr Ceri Lewis and Plymouth Marine Laboratory’s Dr Helen Findlay. Both scientists are travelling to the Arctic later this month. Chip Cunliffe, director of sustainable development at AXA XL, corporate supporter of Arctic Live, said: “Running for a sixth year, Arctic Live is an innovative way to engage young people at scale. Encounter Edu’s live streaming education broadcasts have reached 4.6 million students since 2012.